Since 1997 the Imago Mundi Association, a small non-profit organisation, has coordinated Open Monuments (Monumenti Aperti), an annual event which promotes inclusivity and the rediscovery of cultural heritage. The event promotes smaller, lesser-known, heritage sites which may be in need of care, along with those larger, better known sites. Open Monuments likewise raises awareness of the value of heritage in the social and economic development of communities. The Association achieves this by including institutions, schools, associations and enterprises in their activities. The initiative has had impressive results. While Open Monuments was initiated 22 years ago primarily in the city of Cagliari in Sardinia, 130 municipalities now take part in the project. 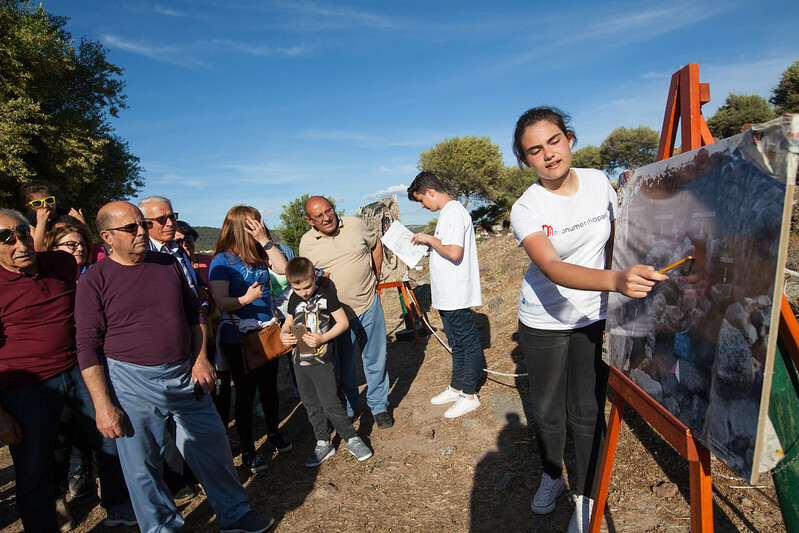 The number of volunteers and sites collaborating with the Association is equally impressive – starting with 500 volunteers and 40 participating cultural sites, Open Monuments now counts on the support of 18,000 volunteers and more than 800 cultural sites which are opened to the public for free. 200 schools now officially participate in the event, ensuring the next generation of enthusiasts are involved in the appreciation of heritage. The economic sustainability of the initiative is secured by funding from the municipalities who take part in the project, the regional government, local businesses and also thanks to private donors. “Open Monuments enhances an ongoing and sustainable tradition of cultural volunteering which focuses on a wide range of monuments in a variety of municipalities to enhance civic pride and raise local awareness of heritage importance”, the jury stated. Regular evaluation of the event has revealed that participants’ awareness of the importance of cultural heritage has increased. It is also enlightening to note that many of the monuments that were normally closed to the public are now open or have undergone conservation-restoration works or other improvements. The jury appreciated that “the Imago Mundi Association has developed a scientific committee which, through the structured involvement of volunteers can make informed decisions on monument appreciation”. Open Monuments has a strong focus on the European aspect of heritage with many collaborative projects taking place. Students from the Erasmus programme are invited to offer special guided tours in their own language on the Open Monuments days. Participants in the tours can therefore understand their local heritage in a wider European context and from the viewpoint of other Europeans. The Imago Mundi Association has also carried out other projects in cooperation with other European countries, for example a project with the government of Catalonia which has resulted in a book exploring the links between Sardinia and Catalonia and, a European project carried out by 8 organisations from 6 European Countries concerned with the experience of learning through cultural events.